The holiday season is here! Time for cool weather and cute family photos. 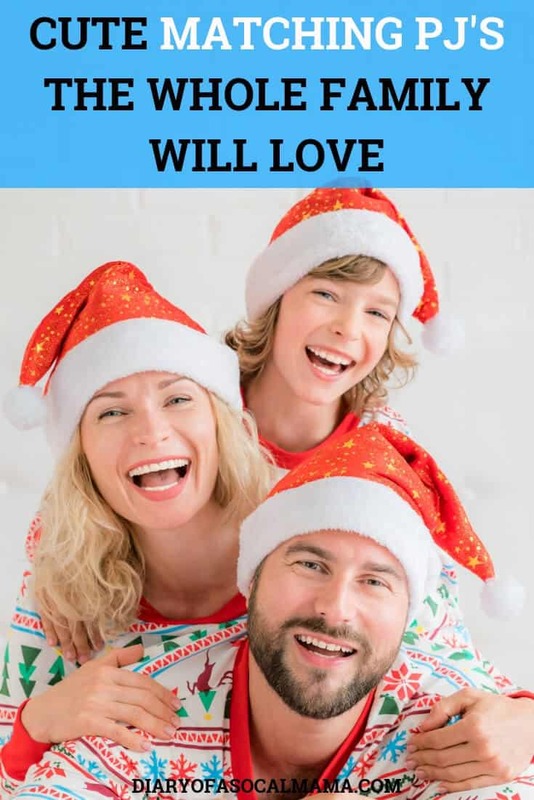 Get the whole family into the holiday season with matching family pajamas for Christmas. 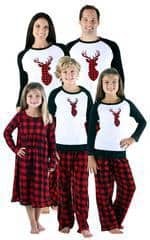 Whether you prefer snowmen, elves, or some buffalo plaid there are all types of matching family pjs to choose from. Most are also available just for the kids if you’re only shopping for them. The cutest ones will sell out fast so grab them quick before they’re gone! Target is always a go to store for Christmas supplies including Christma pajamas. Check out these great ones they have to offer this year! A lot of their sets come with an option to include one for the family pet as well! Llamas are uber popular right now. These llama pajamas have a fun holiday theme to them making for unique holiday pjs. Those who celebrate Hanukkah don’t have to feel left out of the fun. Grab these fun matching pajamas themed for the occasion. If you shop at Target make sure you have the Target redcard! You can get a debit or credit option. The debit card version is linked to your bank account so no worries about interest fees! You get an extra 5% off every purchase in store and online and free 2-day shipping when you order online. Amazon is, of course, another great place to order your matching Christmas jammies. I found a couple of cute styles that have good reviews! I’m a sucker for snowmen. Maybe because we don’t actually get to build any here in Southern California. These read Merry Christmas and are decorated all over with cute little snowmen. These Christmas light pjs make me think of Christmas Vacation. Cute and blue instead of the more typical red and green! I also found some amazingly cute family pajamas from Pajama Mania! Buffalo plaid is all the rage this holiday season. Grab some for the whole fashionable family. Polar bears aren’t exactly holiday themed but they scream winter and that’s close enough for me! I may have a little bit of a thing for elves, which is why there are two elf themed sets on this list! They were both too cute to not be included!